I’m grateful to know that our constitutional rights are being protected and valued by our leaders of this great country. I do worry about its validity though. Why? Not because I may or may not be a fan of this administration…I pray for it daily, but because I believe deeply, that if you or myself have to keep repeating something publicly, the only persons we may be trying to convince is ourselves. Does Martha Stewart have to publicly say that she is a great cook? Does Michael Jordan have to publicly say that he is a great basketball player? Does Billy Graham have to publicly say that he is a great evangelist? Does Mother Theresa have to publicly say that she is compassionate? Does the Miami Heat have to say that they will win the 2013 NBA Championship? The answer is no, to all the questions above. Why? Because it is obvious. Actions speak louder than words. In the multiple accounts I am referring to, I have noticed a similar pattern in each. First, an unspoken and obvious desire to have no accountability or responsibility when something goes wrong. Second, a hunger for power. And third, a hunger to pursue selfish ambition. By the way, ambition is not a sin. The Bible doesn’t warn us against ambition. Jesus was ambitious. What the Bible warns us of, is selfish ambition. Philippians 2:3 says, “Do nothing out of selfish ambition.” What is the difference between ambition and selfish ambition? One promotes the progress of self at the apathy towards others. Personal agendas are very dangerous. I might add, personal agendas without accountability grow into forms of devastating evil. Do a self check right now. This is hard to do when you think you do no wrong. I confess that I have had times in my life where I felt I could do no wrong. The ability to confess that fact is the very act that cleanses that sin. So, I say all that to say, those who need to do a self check the most, won’t…because they don’t think they need it. Self-Check Time. Is there something in your life that you keep telling yourself or publicly declaring? You will notice it by its sheer repetition. I have repeated to myself in the past, “These people will like me”…and I had to keep telling myself such. Why? Because I really didn’t think people would like me for who I was. It was just a deep insecurity that I grew up thinking. I played on a basketball team in college that was lead by a coach who kept saying that we were a united team, while allowing a couple of players to travel on their own on B-ball trips in their own vehicle. (Not coach Rupe…in case some are wondering) It was clear we had unity problems on and off the court. Yet, the coach kept saying we were a united team? He was only trying to convince himself, we all knew better. 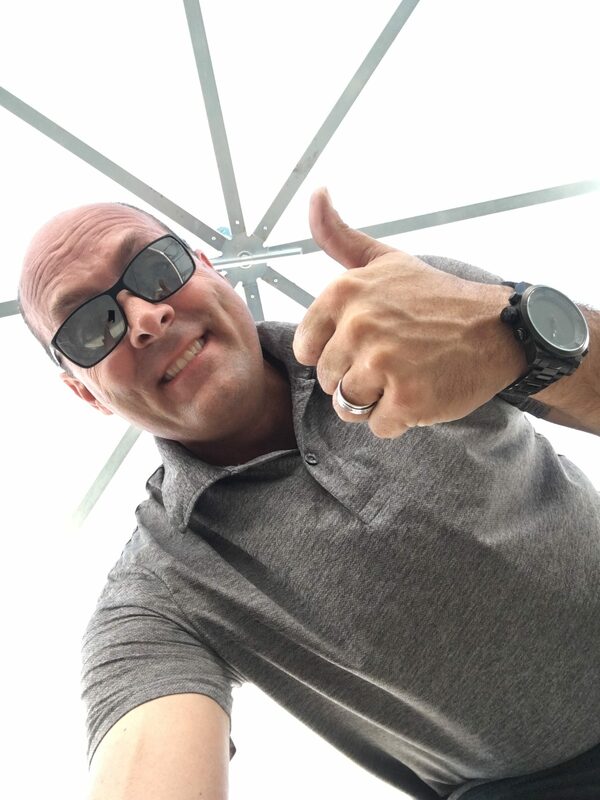 I have encountered people who believed the best thing that could happen to their company was simply making sure their presence remained in the company for as long as possible. Who were they trying to convince? I have encountered a group of people who kept telling themselves and me, that they had to have the power. Who were they trying to convince and what was their agenda? When you hear a preacher, continually harp on an issue…it’s is likely that he/she is struggling with it him/herself. When you hear a Press Secretary repeat something over and over, it is likely that he is trying to convince himself and/or protect a personal agenda. When you hear a group of people continually debate about who is in charge, it is likely that they are trying to self-preserve. I am a student of Church world and have noticed some churches keep repeating how they are the biggest church in their town. (I’m not referring to CCV) Why are they repeating that? When you hear a professional athlete repeat how dominant he is, who is he trying to convince and who is he trying to protect? What is it in your life that you have been vocally repeating? Who are you trying to convince? You don’t have to convince the people who are watching you. We know you by your actions. Jesus said in Matthew 7:16 (NASB), “You will know them by their fruit.” When my words do not back up my actions, everybody knows it but me, and how I look foolish. When your words do not back up your actions, everybody knows it and how foolish you look. Once, there was an elder who told me in front of a bunch of other people that I have two ears and one mouth for a reason. That reason is to talk less and listen more. That was great advice that cut to my core. I learned from that elder. I appreciated the accountability, even though it hurt at the time, it made me sit back and shut up and listen. I am still working on getting better at such. What shocked me, is that specific elder was one who wouldn’t shut up in our private meetings. LOL. Crazy isn’t it? We are imperfect people and the only time that gets us in trouble is when we actually try to make other people live better than we do ourselves. I call that behavioral modification and control. It’s everywhere, but it is at its stinkiest in the church. It is crazy how Christians get very angry at other people for sinning differently than they do themselves. Bottom line…We all need accountability. We need it of any kind. 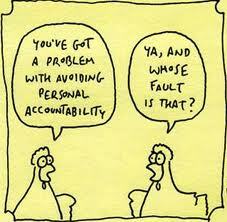 If someone tells you they don’t need accountability…that is the very person who needs it most. Why? Because they said it! Who are they trying to convince? As far as the Top of the News is going right now…. We are seeing what happens when power seeking more power goes “unfettered” by a lack of accountability through biased-non-reporting from the press. The press is crying foul at something they actually empowered to happen. I pray it is a lesson learned. This lesson should soak into every fragment of our individual lives, corporate lives, committee lives, elder’s in church’s lives, marriage lives, and friendship lives. Hunger for power and living for self leads to secrecy, and secrecy is the beginning of sin/evil…let it go unchecked by covering up the truth and the truth will build such power that it will eventually blow forth in such a mighty way that it will reveal the culprit in a very naked way. If you are a Christian and in a healthy Church, you should be able to come forward, confess your sin and be embraced by the loving arms of the body of Jesus Christ. There will still be consequences to covering up the truth and sin, but you will be loved not judged. That is the Church behaving its best. If you are not in the Church, and are, like in today’s top news stories, the U.S. Government…well… your role, and the hot water that seems to be coming to a boil. I’m afraid more judgment is coming than love. The Government is not like the Church. The Government works for the people, and hell hath no fury than a people scorned, lied to and tricked. Its different for the Church, nobody answers to people, we answer to Jesus. There’s a big difference. I would rather answer to Jesus than to people. People are scary. Jesus is not. People are unpredictable, Jesus is not. Be truthful now and there is nothing to hide and nothing to blow up in our face and leave us naked before our judges. Power, Secrecy and a Lack of Accountability are very dangerous things. I’ve never seen a single soul, in all of world history, be able to safely play with power, secrecy, lack of accountability, and not get burnt and thus be left naked and exposed before the whole world. If you hunger for power, have secrets and a lack of accountability I’ll bet you keep secretly telling yourself that it will all be okay. God is the Power. God knows all secrets. God is the ultimate accountability. AND…God is love. That makes me stand amazed in the presence of Jesus the Nazarene. He is the one and only true King.